◊ Watching the two fat black and white cats (Splodge and Mr P) hunting in the fields. ◊ Debating with fellow retreatants on the first night about how and whether we would be able to resist switching on our mobile phones for five days. Then, only 24 hours later, the whole conversation feeling totally redundant because I was so deeply in the moment that it seemed irrelevant. ◊ Birdsong (and then some…). ◊ Being able to remember most people’s names – something that I struggle with day-to-day even with one or two new people, yet alone 25. Maybe the answer is about being fully present and nothing to do with an aging memory after all! ◊ The wonderful Fenn’s, Whixall and Bettisfield Mosses – bog, peat bog, and more bog – brilliant! 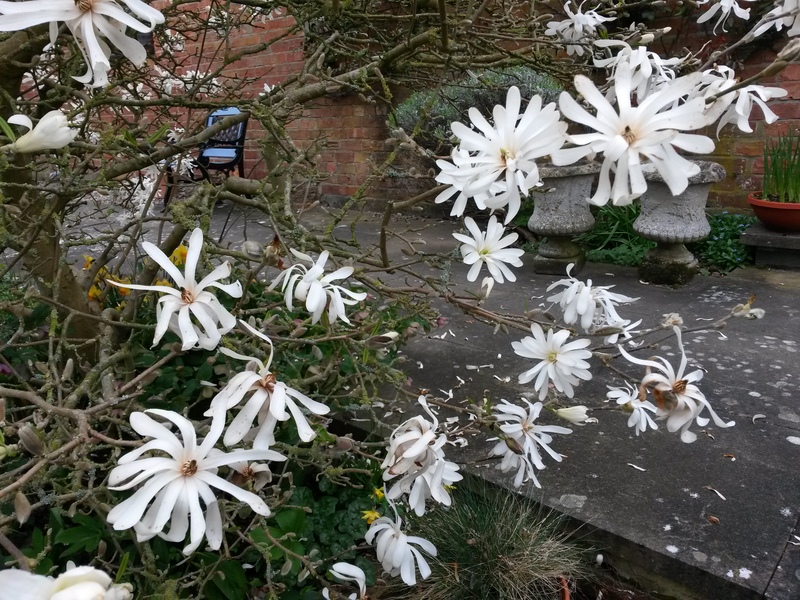 ◊ Magnolia Stellatas in full-flower in the garden. Starry white blossoms in morning mist. ◊ Canal walks and bridges. Old metal mechanisms, their purpose lost in local memory. Cogs and ratches, sluice gates and drains. 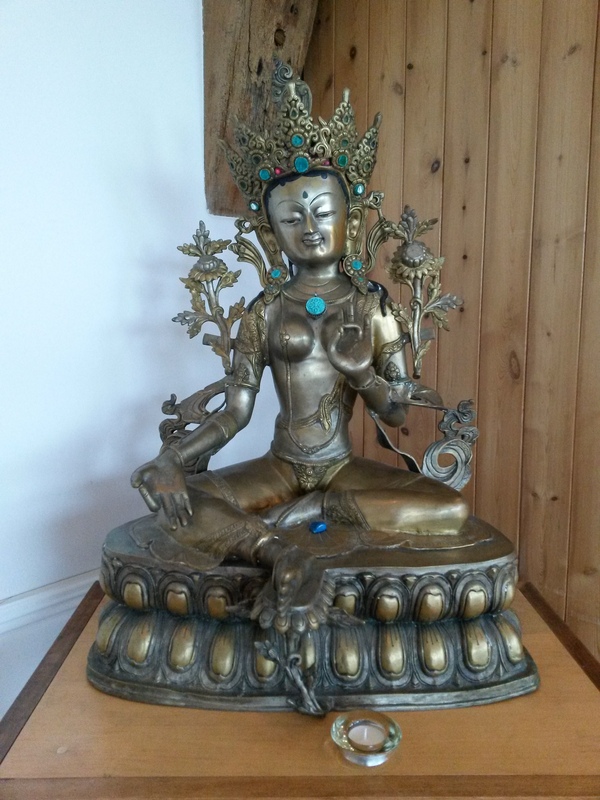 ◊ Statues of the Buddha; shrines; Green Tara; sacred spaces. ◊ Feeling overwhelmed with noise and people (we were a biggish group). ◊ Feeling overwhelmed with peace. Dwelling. ◊ Body scans are deeply relaxing! ◊ ‘What we pay attention to is what comes into being.’ Counting our blessings, gratitude and appreciation, rejoicing in merits.